What is it with pears? Bite into a pear from the tree and its like a rock. But, take it inside, keep it warm, and in time it transforms into a luscious, soft, juicy eating experience. Not too much time, mind, or it will turn into a brown mushy mess. Pears are lovely cooked. 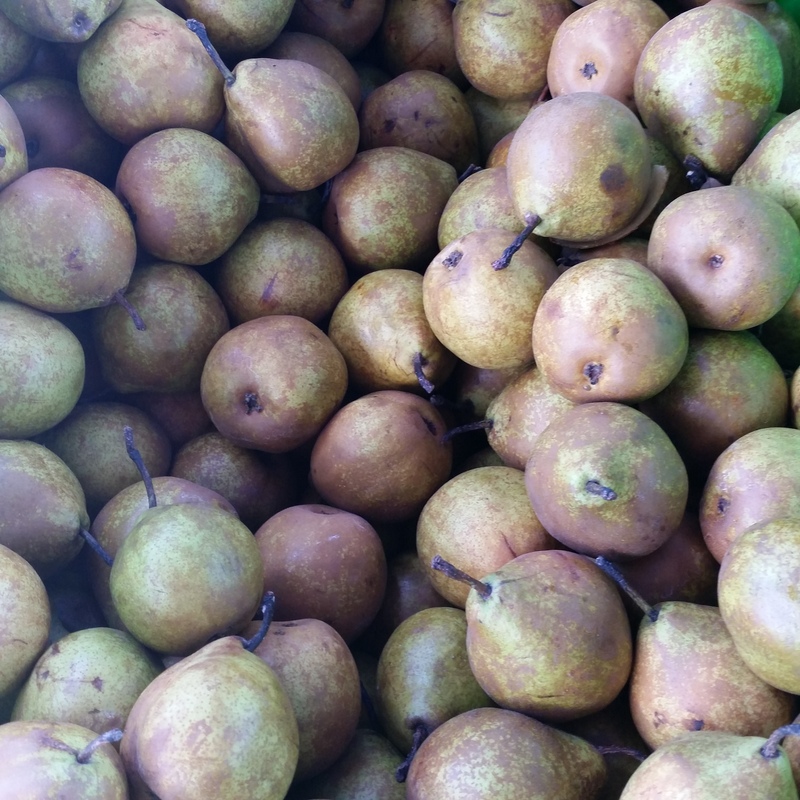 I discovered some sweet Winter Nelis pears at the Otago Farmers Market. This late season variety of pear is the perfect shape and size for my proposed poached pear recipe, a deliciously simple dessert. Winter Nelis pears Pyrus communis , a European pear, was first bred in Belgium by M. Jean Charles Nelis in 1818. It’s a late season pear that stores well. When first picked it will be green with russet colouring on skin and as it ripens the green turns yellow. It has a sparse spreading growing habit and requires another pear pollinator to fruit. Its blossom can withstand late spring frosts but does like a warm spot to grow. Winter Nelis…she may be an ugly sister in the pear family with her russet skin and dumpy appearance, but her sweet buttery flesh and reputation as an excellent cooker made me choose her over the more elegant pears on show. 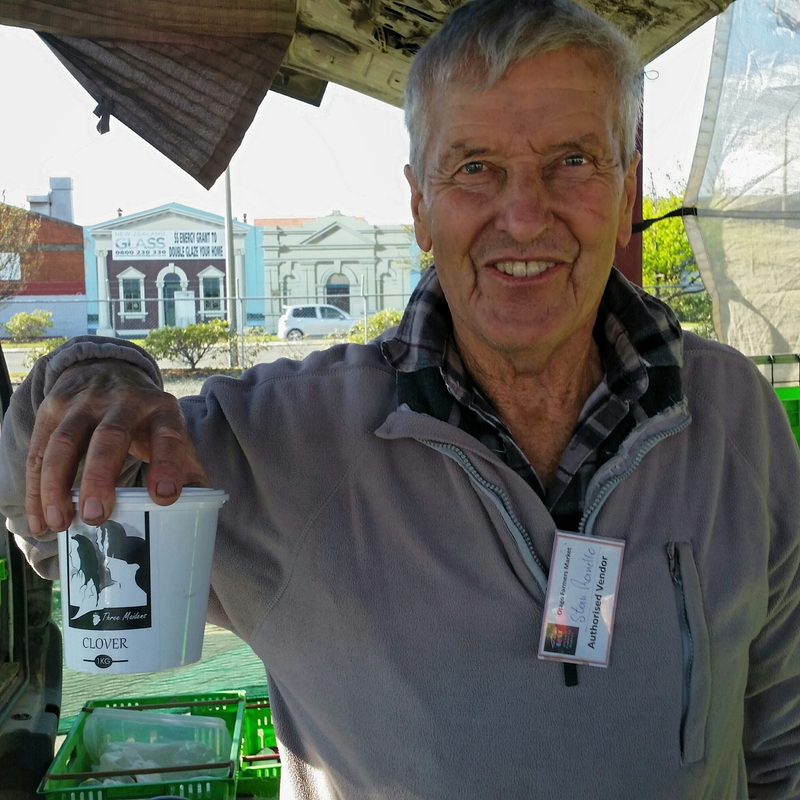 One of the treasurers of the Otago Farmers Market are the orchardists that get up absurdly early on a Saturday morning to travel 2-3 hours to offer market goers in the city of Dunedin the sweet fruits produced by their Central Otago sunshine. One vendor I make a point of visiting up on the railway platform is Stan Randle from Harwarden orchard. Stan runs a 12 hectare orchard at Earnscleugh Road, near Alexandra, and offers spray free fruit. He often has other produce for sale from his 12 hectare property and I spied a selection of honey for sale. There was some thyme honey that will have good anti-bacterial qualities from the wild thyme growing in Central Otago but I will always go for a good creamed clover honey as this was the honey of my childhood. 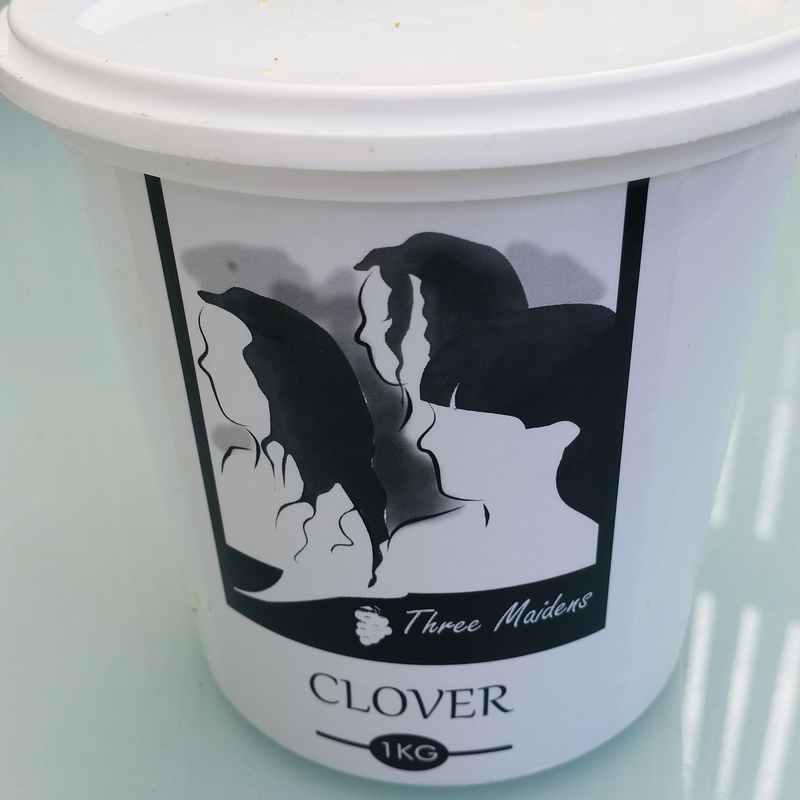 Chatting to Stan, he proudly told me that his “Three Maidens” clover honey is named after his three grand daughters, Tyla, Brie and Shelby. How lucky they are, not only to have the honey named after them, but to be given the experience and benefits of their grand parents growing food in a natural way. Optional: you can add a cinnamon stick or a piece of ginger as an additional flavouring. 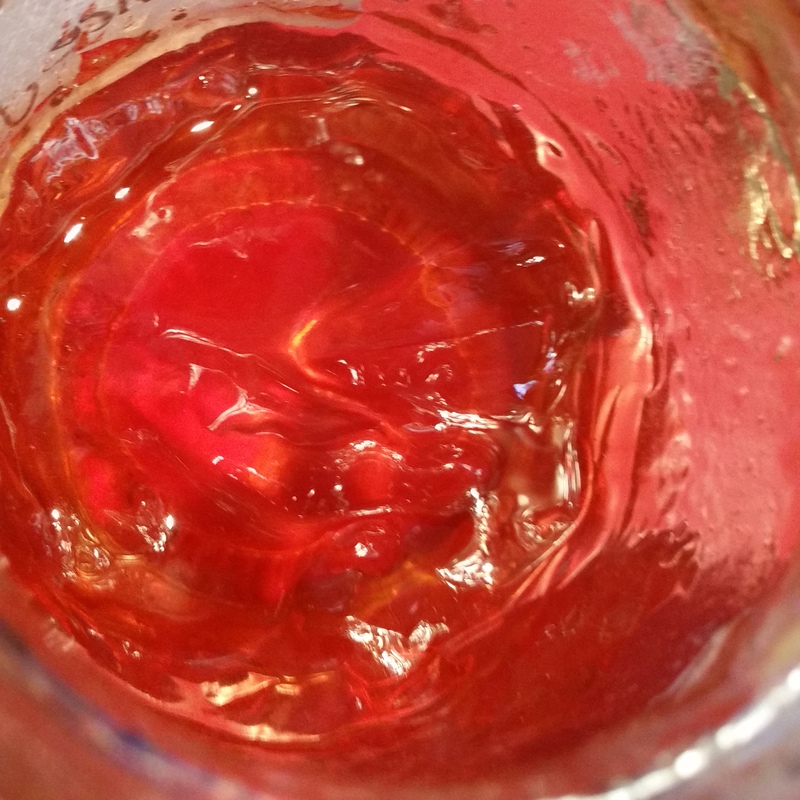 As I used quince jelly along with the honey I wanted the quince flavour to shine through so didn’t add other flavourings, but you can be brave and experiment. Quince jelly was not included in the original recipe I found but I wanted to add the warm colour of quince to the poaching liquid. If using a stronger flavoured honey than the clover honey, I suggest perhaps using less honey and add a little sugar. 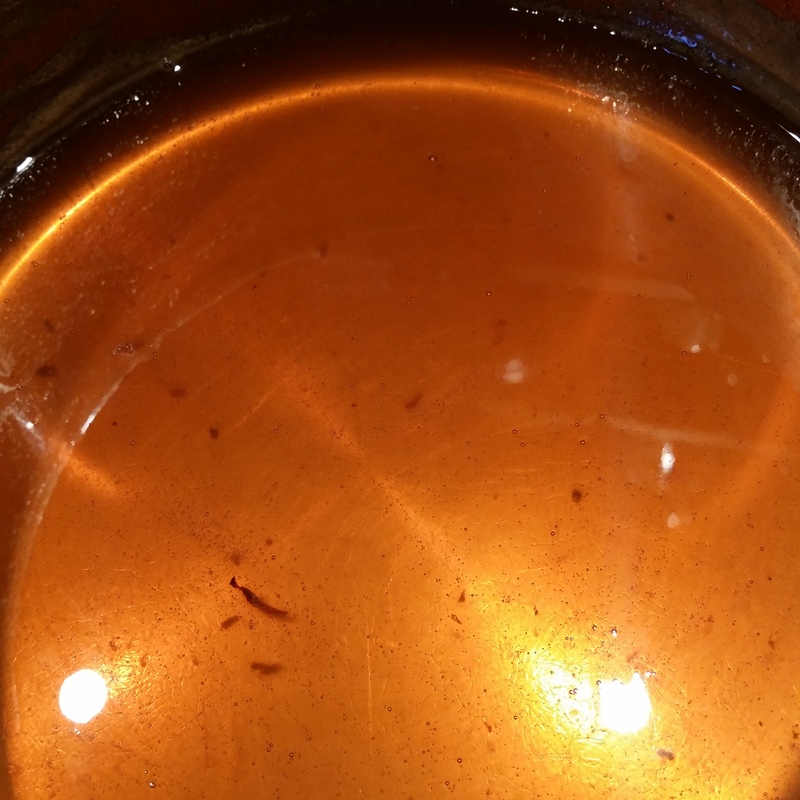 Brown sugar helps to make a rich colour to your poaching liquid. I have used Creme de Cassis (black currant liqueur) to create a darker red liquid. Choose a pot that will fit the number of pears you want to poach. It’s best to create a snug fit in the pot, as the more pears the less poaching liquid you’ll need. 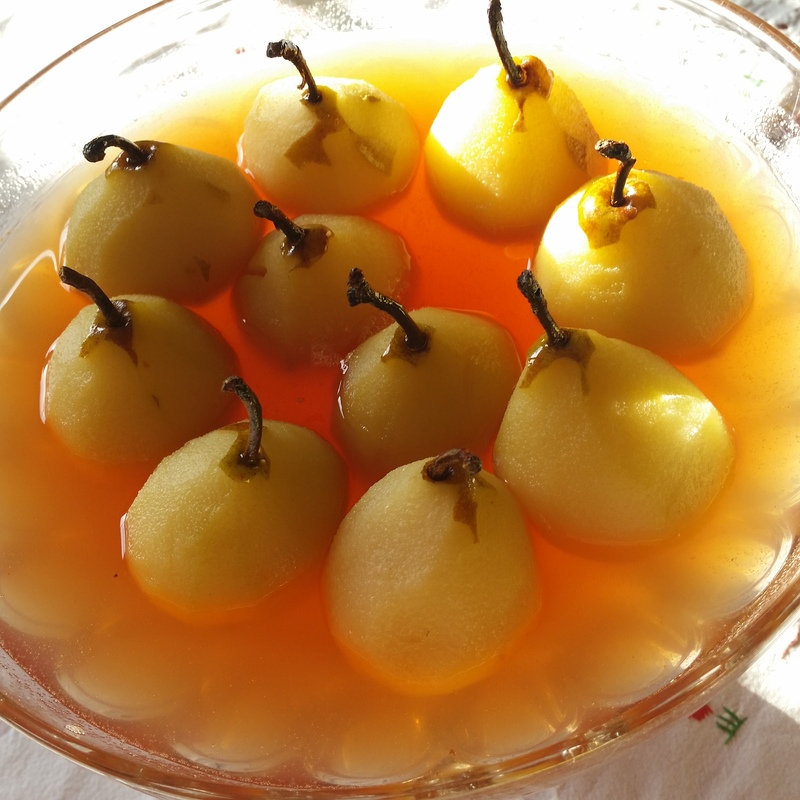 I managed to cook ten small Winter Nelis pears. Assemble the poaching liquid of water, wine, honey/jelly, and the lemon zest. You can use any white wine or even a rose. I used what I had available, a rather good Villa Maria Arneis from the East Coast. Place the poaching liquid on the stove and heat to a simmer. Put the peeled pears into a bowl that has the juice of a lemon and make sure the skinned pear is coated with lemon juice. 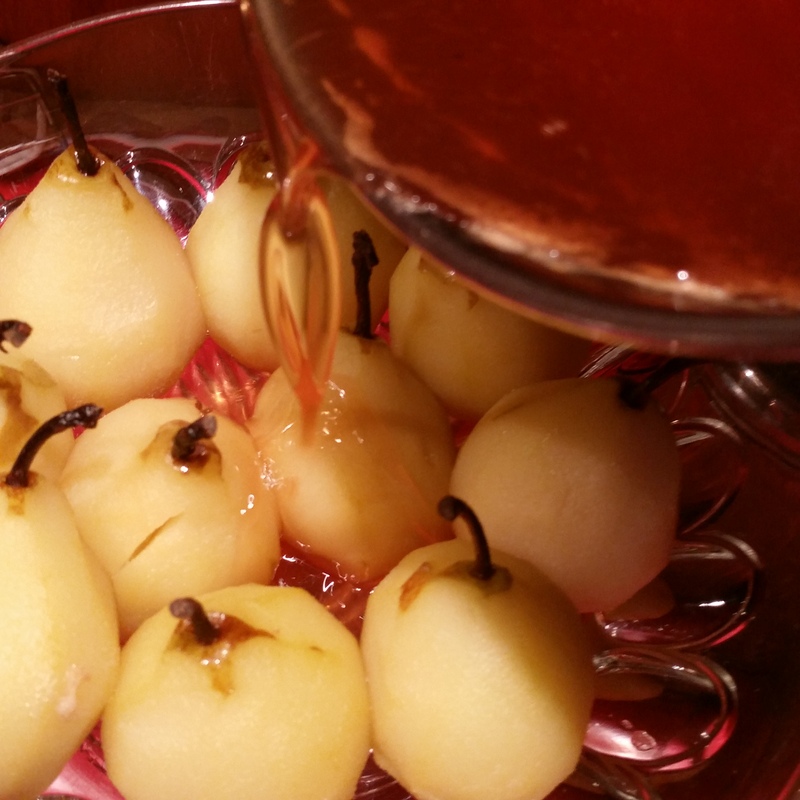 Now gently place the whole pears into the pot of poaching liquid with the aid of a slotted spoon. 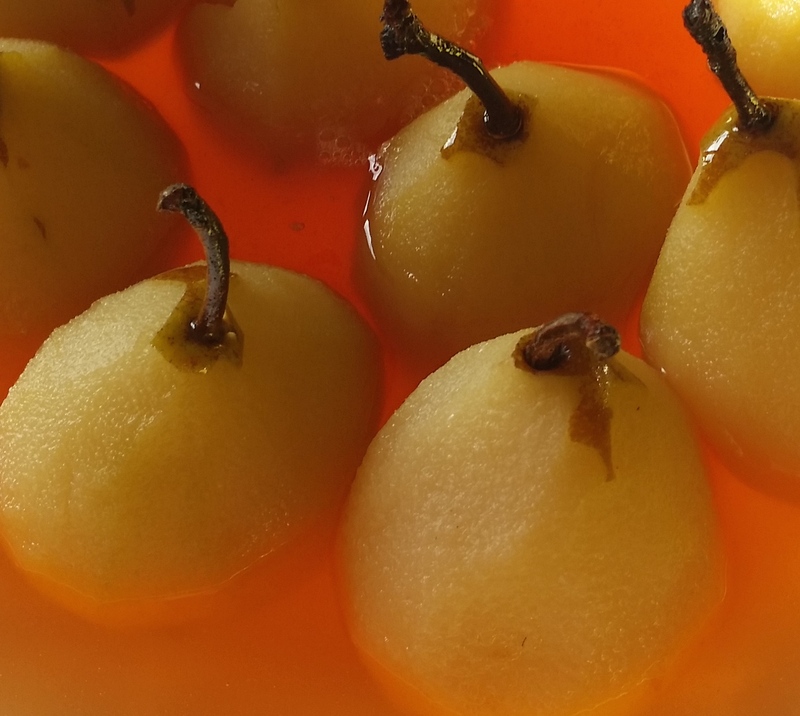 The liquid should cover the pears – add extra water if required. I usually drain in any remaining lemon juice into the liquid as well. To keep the pears submerged cover the pot with a sheet of baking paper and weigh down with a smaller sized pot lid or plate. I find the pot lid is easier to get out than a plate because of the lid handle. If you don’t weigh down the pears they will naturally bob up to the top and their tops could discolour. Use a fork or skewer to test if cooked. If easily pierced then they are cooked. 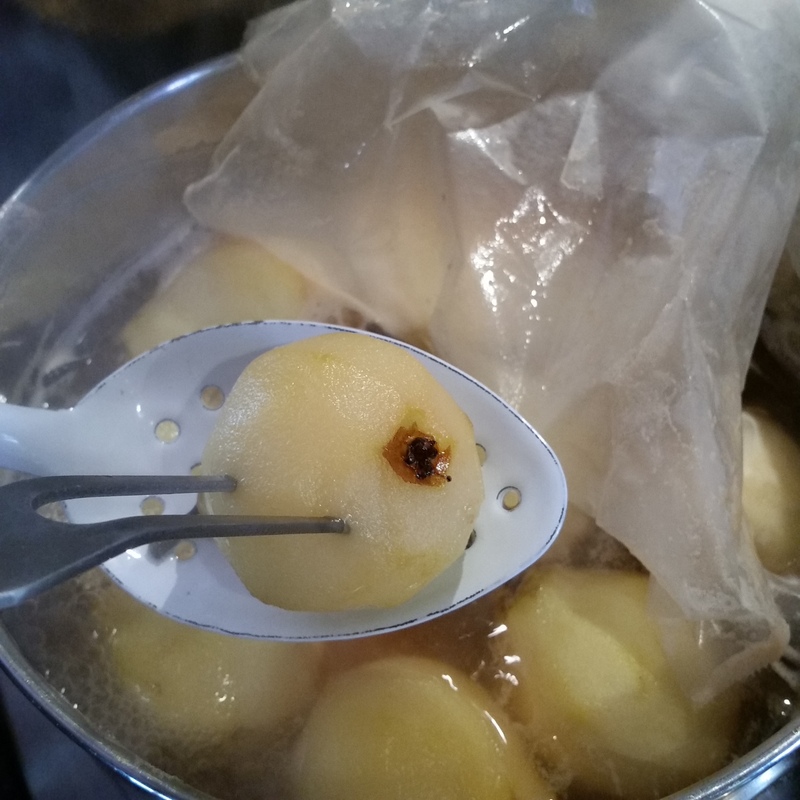 With a slotted spoon take out the pears leaving the poaching liquid in the pot. 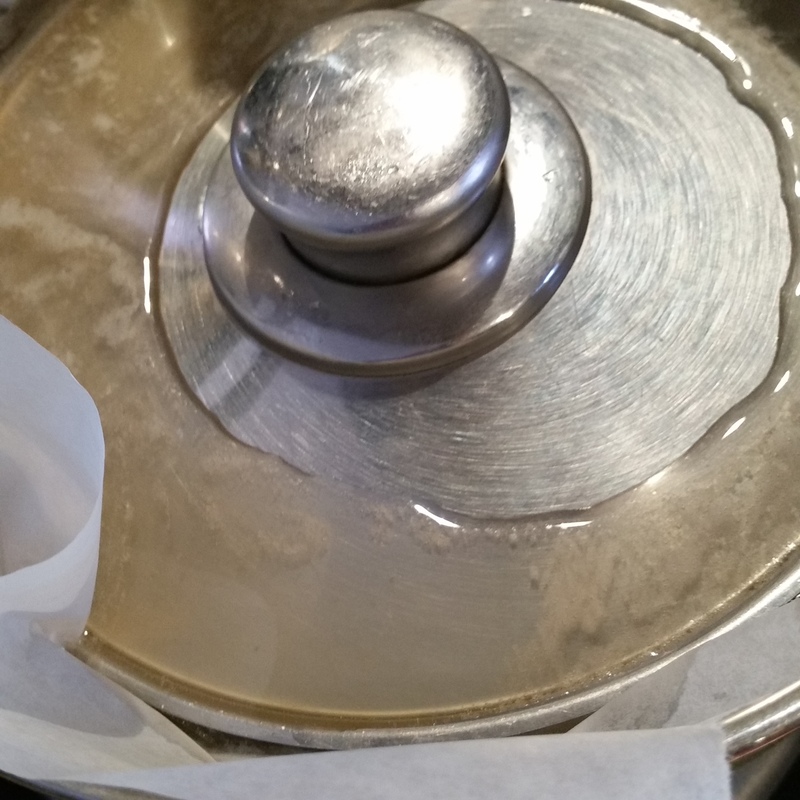 Turn up the heat to make the syrup thicker by reducing the water content with a rolling boil. The liquid doesn’t have to be that thick but try to reduce to a syrup consistency. 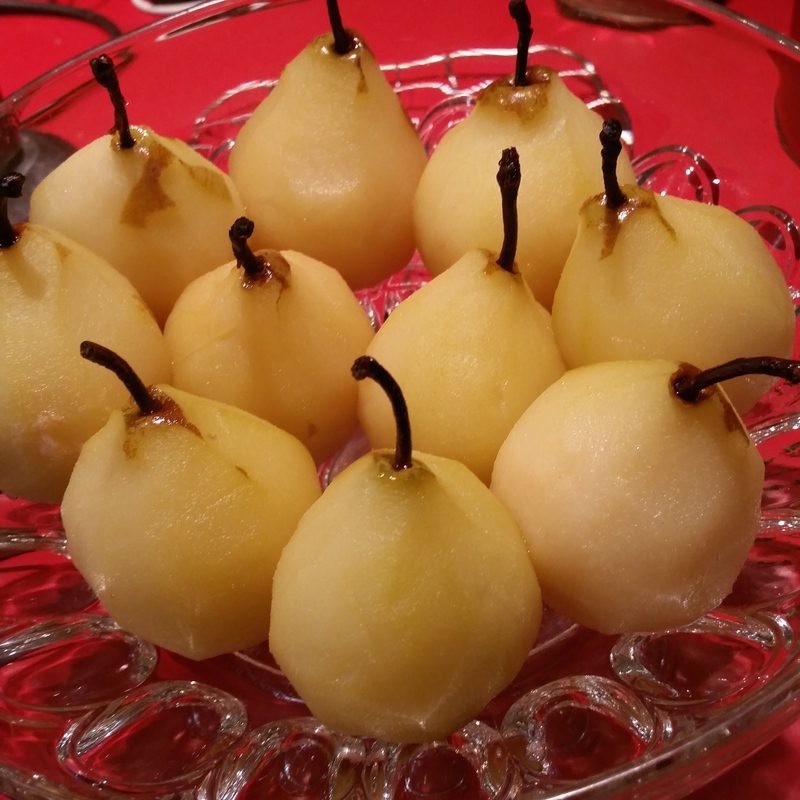 These pears can simply be enjoyed with a good ice cream or cream. 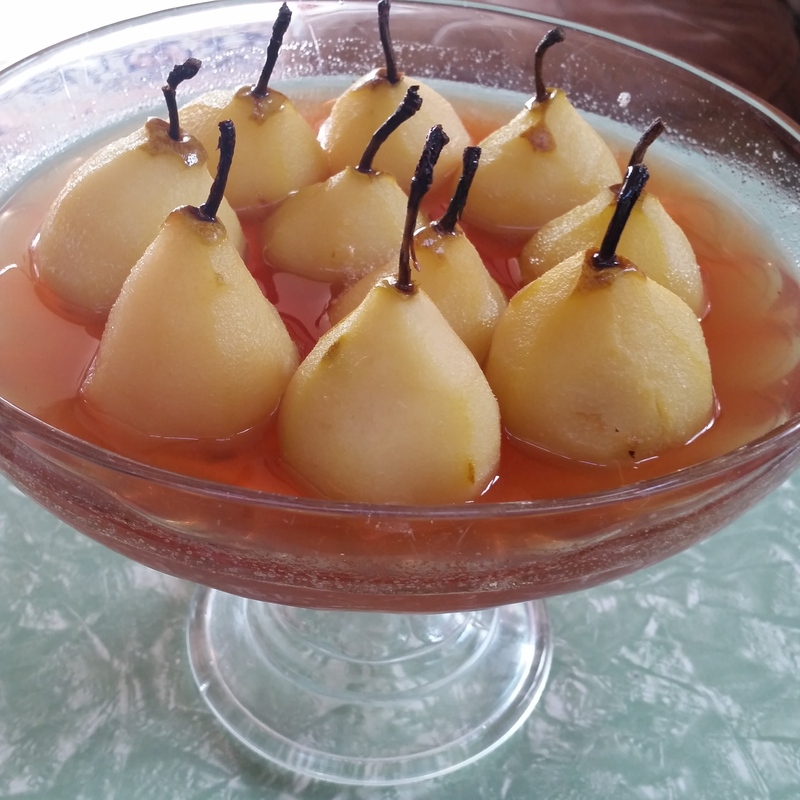 One of my favourite winter desserts are poached pears served with a warm slice of rich gingerbread. 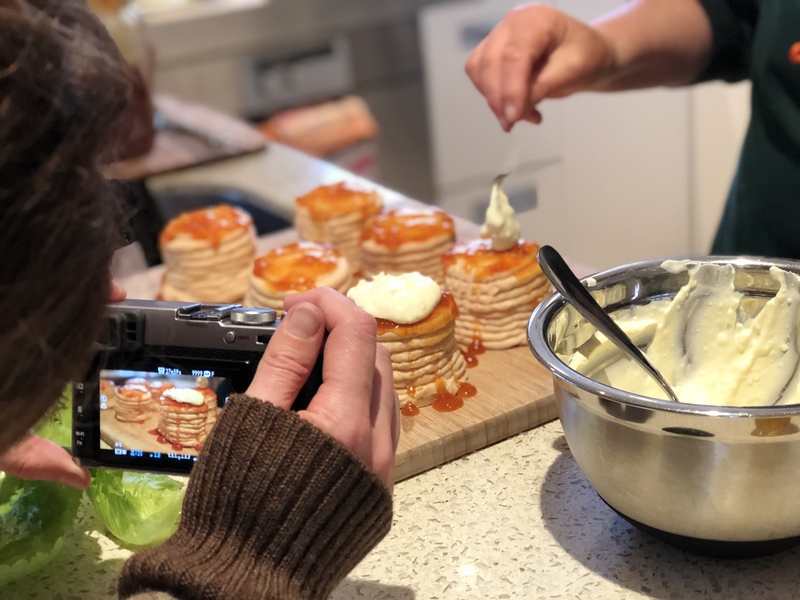 I served Stan’s Winter Nelis pears with almond biscuits and a dollop of organic Mascarpone cheese. Made by Italian artisan cheese makers from Auckland, Il Casaro, the mascarpone and their fresh Mozzarella were two treats I brought to share with our friends from the South. When I asked if I could take his photo for my blog posting, Stan told me about his favourite blog, Stone Soup from Australia. I checked it out and I agree blogger Jules Clancy has created a great read. There are lots of quick and healthy cooking ideas and it’s worth checking out.